Top-Rated Orthodontist in Medley, Fl. Carmen Briceño Crespi is an award winning orthodontic specialist and the only board certified orthodontist in North Miami-Dade. She is also a faculty board member at Nicklaus Children’s Hospital where she runs the orthodontic curriculum for the pediatric dental residents. Lakes Orthodontics is an orthodontic specialist practice NOT a general or cosmetic dental practice. Cosmetic dentistry is not a recognized specialty so anyone with an entry-level dental degree can call himself or herself a “Cosmetic Dentist”. 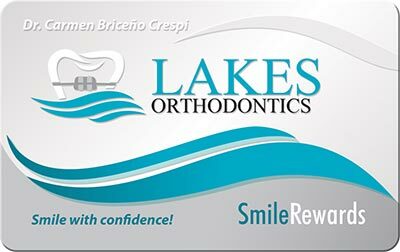 Only Lakes Orthodontics can say that they are board certified orthodontic specialist which is exactly what you need if you are looking for orthodontic treatments such as braces or Invisalign. We employ nothing but the latest technology. Lakes Orthodontics is the only orthodontic practice in North Dade using the iTero Intraoral Scanner. This super high accuracy 3D scanner is capable of reducing the Invisalign ClinCheck (modeling procedure) by up to 50%; with 3D scanning, there are 10X fewer rejections, 7X fewer fit issues and more importantly to us, a better patient experience. This equals faster treatment times and more comfortable fitting Invisalign aligners for our patients. These are just a few of the factors which families throughout Doral, Medley, Hialeah and Hialeah Gardens are taking into consideration when choosing the best orthodontic service they can afford. After all, it is human nature to seek the best and we are glad to offer you the very best, most high tech and fastest orthodontic services in South Florida. For more information or to schedule a free consultation where we can demonstrative how your teeth will look after the treatment, call (305) 820-6800.